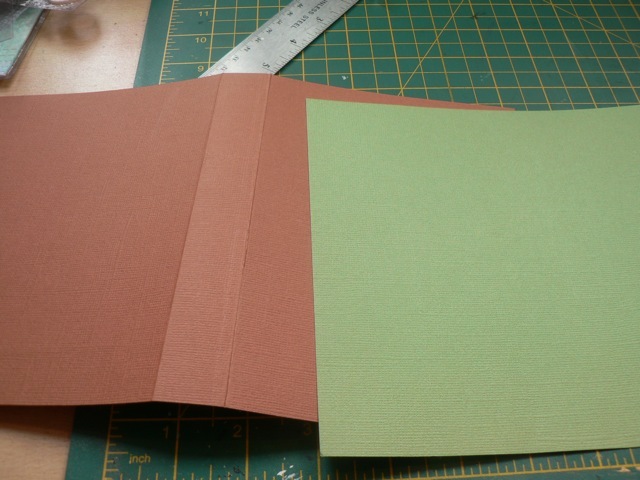 I am making, but not attaching or decorating, the mini-book covers. I feel that is best done once the photos are ready. The title, in particular, will depend on the actual photos I have. Simple stuff, really, and dictated by the size of the box. I started with a 12 x 12 sheet that I trimmed to the barest smidge over 7″ by 12. I scored it at 5 inches then at 6 inches and at 11 inches. 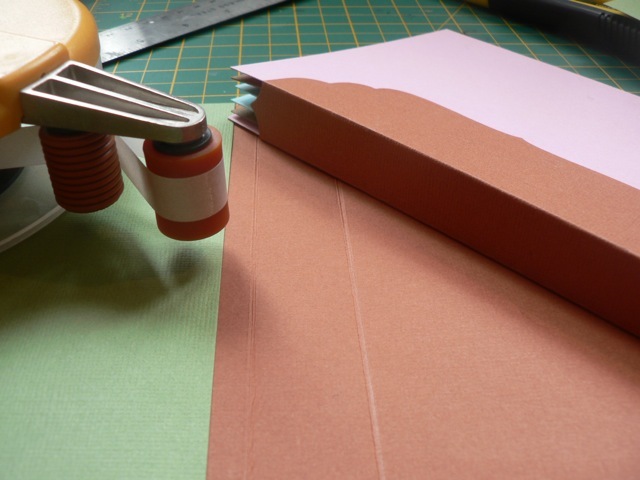 I planned to trim off the last inch, but it’s an easy thing to wrap card around THAT and leave it as a flap closure. 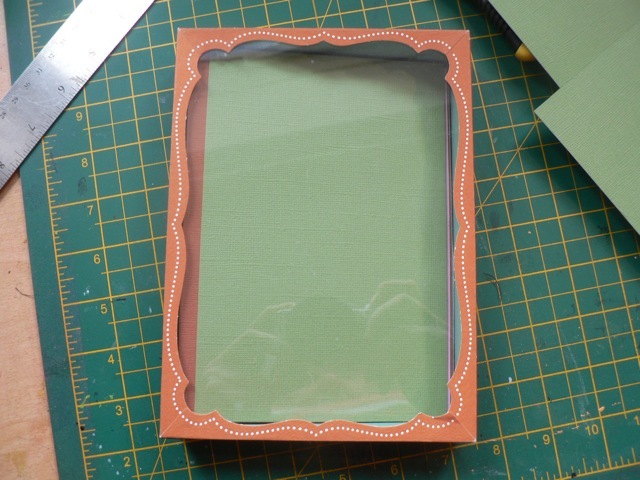 I covered the front and back with the mossy green I used inside – again, all the colours tone with the stickers. 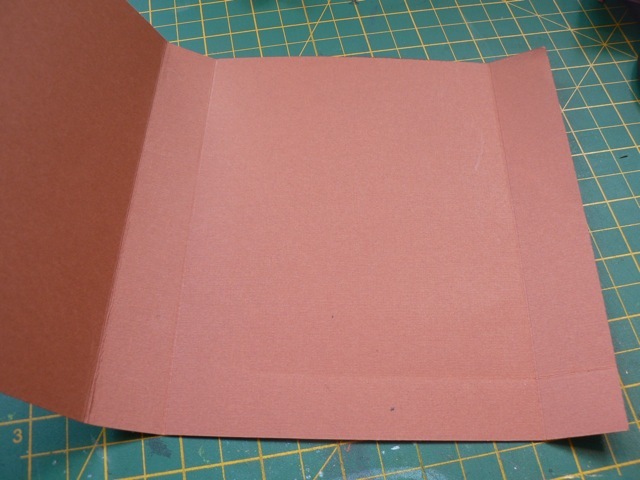 Rather than cover the front I wrapped the cardstock from front to inside. 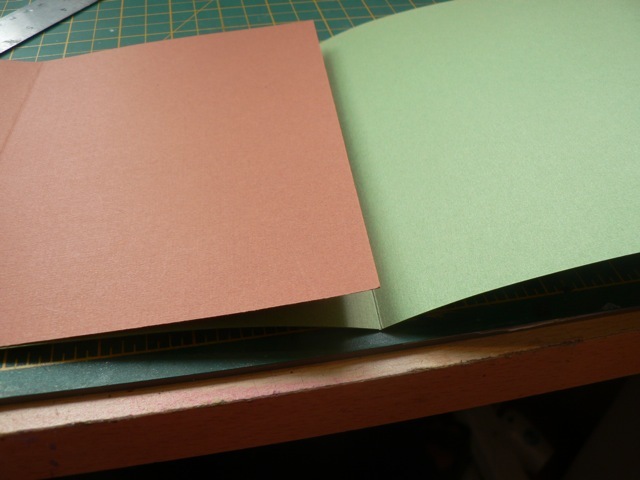 That makes the covers three thicknesses of cardstock so plenty sturdy! The spine of the book will get stuck along the cover-spine inside. And the whole thing will fit nicely inside the pretty box. Whatever the cover decor will show thru the clear box lid and I will possibly add some additional flowers, etc to the lid itself. I am really liking it so far, and can picture the final product in my head. Now, so long as nothing goes wrong, camera-wise, I should be able to come home, edit and print the photos, pop them in and journal in a few days. Then rather than having the trip be just another to-do-later thing, where I forget where it was we were, what exactly happened, and what I wanted to say in my journaling, it will be complete. With luck I’ll be able to share the pages a bit tomorrow. Categories: mini-albums, scrap related | Tags: how-to, mini-albums, scrapbooking | Permalink.